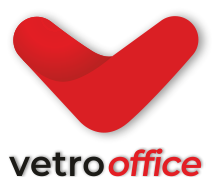 At Vetro, we believe that finding the right people will enable your business to grow, succeed and deliver. Whether you are an SME or Blue Chip organisation, we have a recruitment model to fit your business needs. Click on the division below for more information or click below to search our live jobs. Follow us on Facebook, Twitter, LinkedIn & Google+ for our latest jobs, blogs and industry-specific news. We offer a wide range of permanent Administrative job opportunities. We offer a wide range of permanent Finance and Accounting job opportunities. We offer a wide range of permanent Human Resources job opportunities. We offer a wide range of permanent Sales and Marketing job opportunities.